Easy Riders & Raging Bulls by Peter Biskind is an enormously entertaining read. Gossip and the behind the scenes machinations of some of the key films of the 1970s is something no film fan can turn their nose up at, but while I knew from about five pages in that I would need to supplement my reading with re-watches and hopefully new discoveries, the first group of films that presented themselves to me were those which led to the explosion of New Hollywood. So as I read these early chapters I found myself catching up with a large but by no means comprehensive number of the 60s films which I feel had an influence on what was to come nonetheless. Films like In The Heat of The Night (1967), which mixes old Hollywood filmmaking with new politics, Michael Powell’s Peeping Tom (1960), one of the finest directed films I can recall seeing, which is glorious in its sleazy subject matter and audience implication, several French New Wave films which I am going to restrain from even discussing here as they are an entire series unto themselves, and Roman Polanski’s duel paranoia masterpieces: Repulsion (1965) and Rosemary’s Baby (1968). Of course I also watched Bonnie & Clyde, as is the subject of chapter 1 of Biskind’s book, but that film really deserves a post all to itself which I will hopefully find time for. What follows are some thoughts on four of the films which, to my mind, most thoroughly influenced New Hollywood. Even if you haven’t seen the film, you know the poster. Beloved by arthouse freaks and filmmakers (especially Brian DePalma, who’s Blow-Out is an intriguing play on the themes and plot of this film), Blow-Up had a strong influence on the filmmakers of New Hollywood by being a high profile, English language film by a respected European director who lost none of his uncompromising vision in making the move abroad. Blow-Up is enigmatic and intentionally unsatisfying at times, following a fashion photographer played by David Hemmings who believes that he has photographed a murder. The rather Hitchcockian premise is but a hook though, as what the film delivers is more an open ended meditation on the fragility of memory. Through Antonioni’s direction, which subverts realism and suspense tropes in favour of quietly surrealist and timely imagery, Blow-Up, which to some eyes could come off as an almost Austin Powersian slice of swinging 60s London, is remarkably compelling in its obliqueness, as Hemmings’ hunt for truth in his photographs begins to mirror that same hunt on the part of the audience. 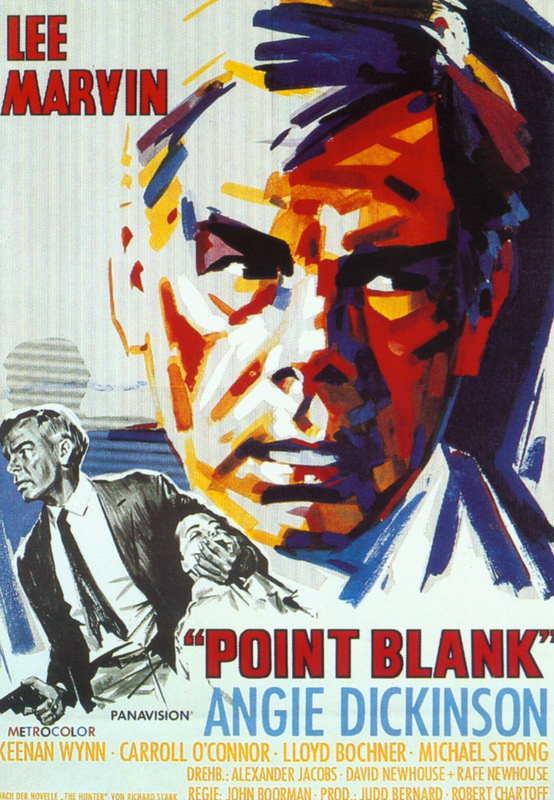 Another film which would have a large impact upon the New Hollywood was the Lee Marvin revenge thriller Point Blank. 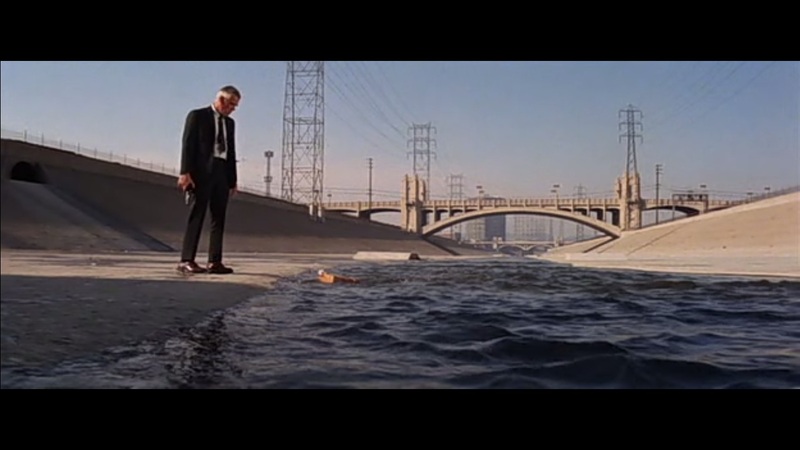 This was British director John Boorman’s first time abroad and as such he brought a fresh eye to the city of LA, shooting it with clear French New Wave influence: fast cuts, shots with an exaggerated depth of field, unexpected camera angles which block presumably vital elements of a frame, like a door or stairs. Even the use of colour is reminiscent of the earlier Godard film Contempt (1964). All of this serves to create an outsider’s Noir, reflecting the mental state of newly released Walker (Marvin), on the hunt for the $93,000 he is owed, a relatively paltry sum considering the lengths he goes to get it. Point Blank shows a mainstream Hollywood picture embracing elements of European innovation for the first time, and is even more richly rewarding when viewed as a double bill with Steven Soderbergh’s often overlooked The Limey (1999), which acts as a self-conscious update of Boorman’s film. The Limey is terrifically edited and features a villainous performance from Peter Fonda, who plays against his usual persona to great effect. Chapter 2 of Easy Riders & Raging Bulls concentrates on the making of Dennis Hopper’s titular Easy Rider (1968), the seminal biker movie that, full disclosure, has been a huge influence on my cinematic experience since I first saw a screening of it at a festival in 2011. Its freeform style, its freewheeling spirit, the great music and acting (I mean Peter Fonda, Dennis Hopper and Jack Nicholson sharing the screen is a gift, right? ), and the potent hippy iconography just grabbed me at age 18 and I carried the film with me throughout university, pushing it on just about everybody I know in states both altered and straight. 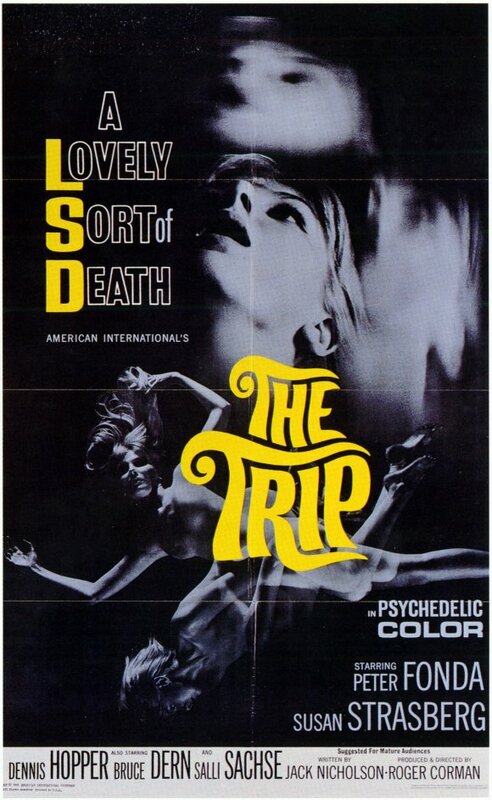 So having such familiarity with the material, I used this chapter as an opportunity to watch Roger Corman’s The Trip, which is often referred to as a spiritual predecessor to Easy Rider. Though an undisputed cult hero for fans of no frills filmmaking, and a legend who mentored countless young filmmakers that would grow to have a significant impact on New Hollywood, I hadn’t seen any of Corman’s work aside from the original Little Shop of Horrors (1960) and so was unsure of what to expect going into this Nicholson written, Fonda (and Bruce Dern!) starring little counter-culture classic, which simply follows Fonda’s ad-man as he takes LSD for the first time. The results are as psychedelic as could probably be achieved on a shoestring budget in 1967 (Holy Mountain was still almost 10 years away after all). The Trip has aged, of course, but if anything the cheesy anachronisms of its strange pace and dialogue, of its slightly jarring editing, only adds to the experience. It is a film borne of the hippy zeitgeist, which holds a fishtank like watchability that draws one closer and closer in a way that other drug infuenced folms of the time, The Monkees film Head (1968) for example, cannot manage. Images such as Fonda freaking out in a launderette, or Dennis Hopper’s whacked-out performance, are likely to linger in the mind long after the end credits roll. 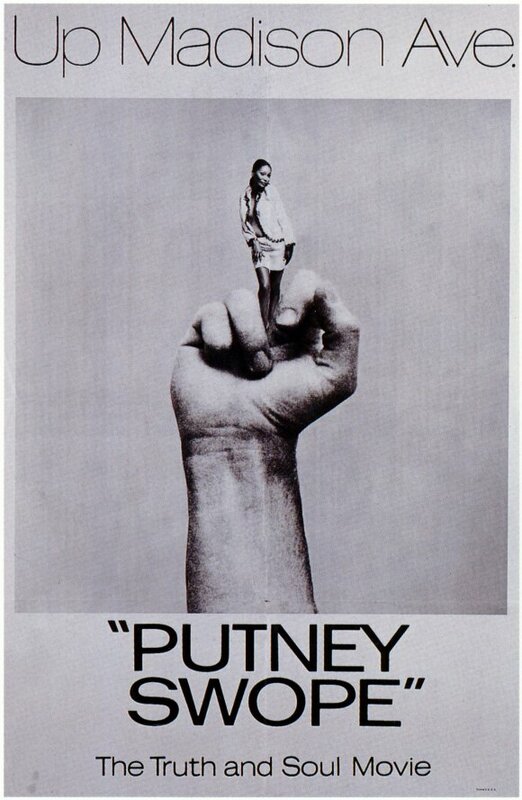 I approached Robert Downey Sr’s 1969 Putney Swope as a proto-type of the Indie film movement of the 90s. Despite Louis CK and Paul Thomas Anderson declaring their appreciation of the film as showing to them that anything was fair game for cinema, I expected to find it little more than a product of its time which could only be enjoyed through a historical lens. Boy was I wrong. In fact Putney Swope would be a perfect addition to some sort of ‘Media Satire Marathon’. It could go right at the end, after Network (1976). It is the perfect cult movie. Swope’s madcap tale of the one black man on the board of directors at an ad agency being put in charge and turning the company into a black power movement is part sketch comedy, part low budget indie fiasco, wholly quotable and joyously uplifting in its utter disregard for the cinematic and larger establishment. And yet in its throw-all-at-the-wall and see what sticks approach, the collection of set pieces creates a singular comic perspective. It is the missing link between A Face in the Crowd and South Park, and it deserves to be appreciated as a masterpiece of satire in its own right.